What’s inside the latest Arcade Block from Nerd Block? We take a look at the games-related crate. 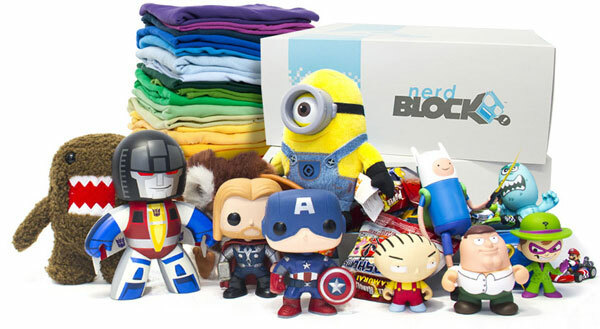 Arcade Block from Nerd Block is another box filled with Geek-based goodness, this time focused on gaming. The company also sells Horror Blocks, Nerd Blocks and 2 Jr boxes for girls and boys. It’s a Canadian company so the blocks take a little longer to turn up and cost a little more due to postage (around £20 at the moment based on exchange rate), but having different boxes means that there is more chance of getting something specific to your needs. January’s Arcade Block is, as usual, a mix of video game items with no real theme. This allows for more of a variety and helps keep it interesting. The main feature is the T-shirt and this month is no exception. The Donkey Kong T-Shirt has the motif ‘They See Me Rollin’ They Hatin’ in a bright yellow ink. Now these boxes have several different T-shirt designs, so not all the boxes will have this Donkey Kong one. However, I’m pretty pleased with this. Fans had asked Arcade Block to repeat the Tetris Notebook that appeared in a previous Nerd Block as it was more relevant to the arcade theme and, thankfully, they’ve obliged this month. The notebook is coloured in Tetris shape colours with the edges cut into the famous shapes themselves for easy flicking through the pages. Recent boxes have included a Mega Bloks item and this month we’ve got a larger one that usual. Anyone familiar with Halo will instantly recognise the Ghost, one of the first enemy vehicles you get to drive/fly in the games. It’s a fairly big box, so was a nice surprise to get in the pack. 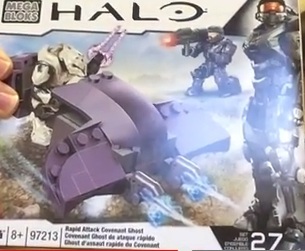 The pack comes with a 2 characters to pose in your own little battle scene and re-create all your Halo victories. Most boxes also seem to be including a comic these days and Arcade Block has gone one step further on this too with a full Plants vs Zombies Graphic Novel. It’s quite a thick book with a self contained story and some great artwork. Sega themed retro pin badges and some interesting stickers of characters from various games, drawn by Playful Gorilla in their usual style, complete the set to give us a box that isn’t full of loads of smaller items but has some good quality loot instead. Watch the full unboxing video below.